What’s the difference between Members and Guests? 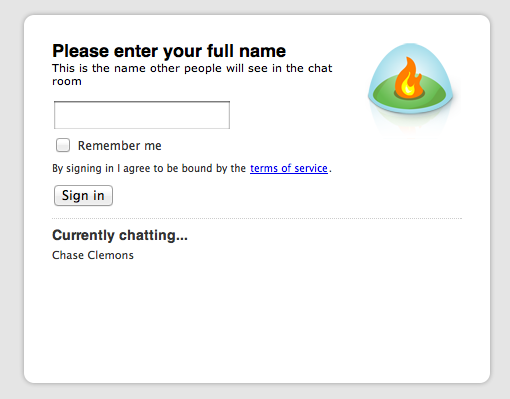 Members have permanent accounts and access to all chat rooms unless you have restricted access to that room. Members also have access to transcripts. Guests, on the other hand, are only permitted in the room to which they were invited and don’t have access to transcripts. Think about using guests for quick, temporary chats or one-off group chats with people you don’t plan on chatting with again. 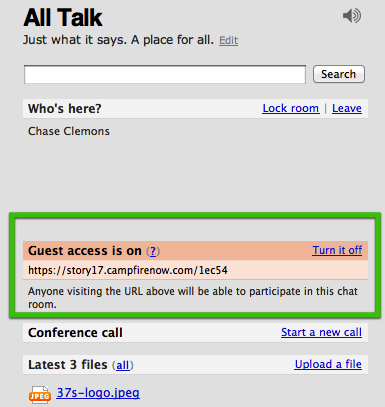 Can guests view transcripts? Can they see conversations or files added prior to entering a room? Guests can neither see transcripts nor can they see conversations that took place before they entered a room or files uploaded before they entered the room. They’ll start with a blank screen. How do I kick out a guest that I don’t want anymore? My guests are complaining that the URL doesn’t work anymore. What’s up? Every time you turn guest access on you generate a new guest URL. It’s likely your guests are trying to use an old URL. Give them the new URL and they’ll get in just fine. Note: Each room has its own guest URL and guest access is controlled on a room-by-room basis.